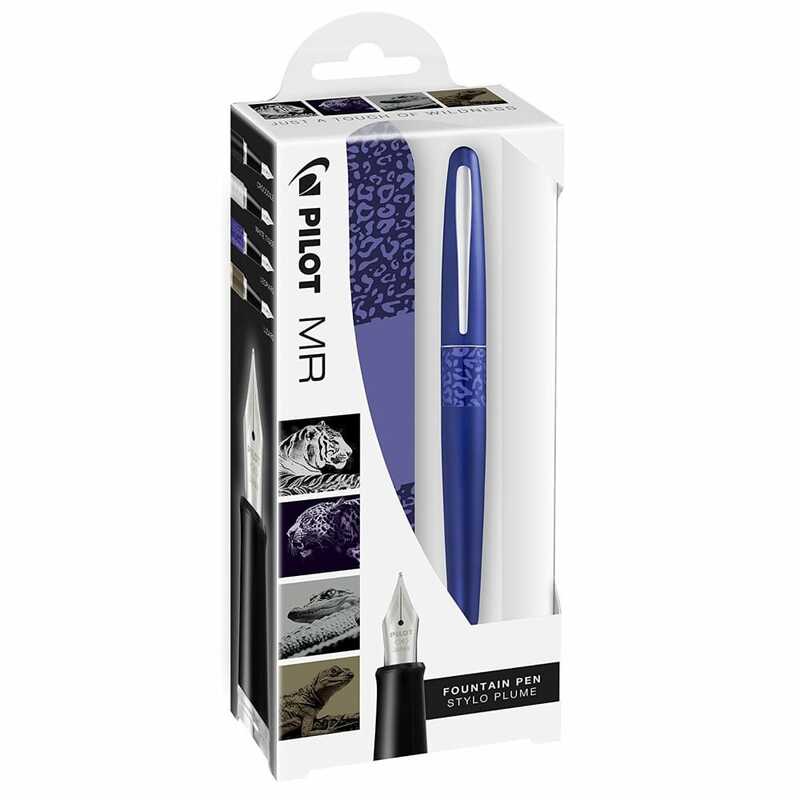 The Pilot MR Animal Collection is more than just a pen, each MR Fountain pen is manufactured with a durable metal barrel complete with sleek, matte finish and is refillable using standard (DIN) ink cartridges. The stylish Leopard animal design on the pen and metal tin is unique and is a perfect gift. The stainless steel nib will not degrade over time and gives consistent smooth flow of ink and complete with animal motif and enhanced steel pocket clip.